Mark Rothko's search to express profound emotion through painting culminated in his now-signature compositions of richly colored squares filling large canvases, evoking what he referred to as "the sublime." 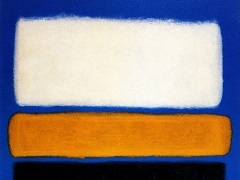 One of the pioneers of Color Field Painting, Rothko's abstract arrangements of shapes, ranging from the slightly surreal biomorphic ones in his early works to the dark squares and rectangles in later years, are intended to evoke the metaphysical through viewers' communion with the canvas in a controlled setting. "I'm not an abstractionist," he once said. "I'm interested only in expressing basic human emotions: tragedy, ecstasy, doom, and so on." 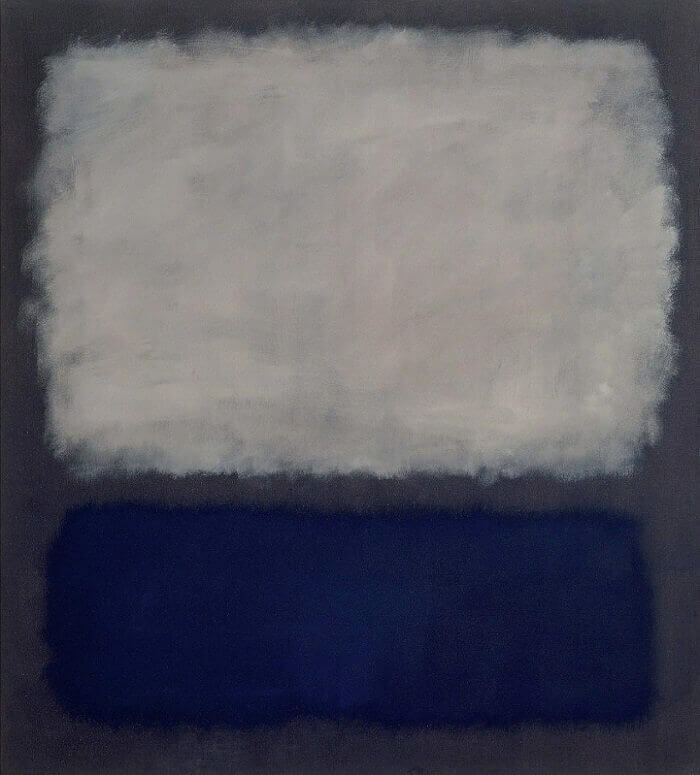 Blue and Grey , 1962, represent the realization of Rothko's desire that his work be viewed in close quarters.